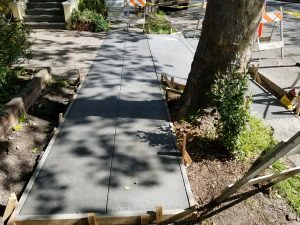 Despite the second wettest winter on record, the 2018 Sidewalk Repair reached the quarter way mark this week. With 7 more locations completed in the last two weeks, the program has now replaced sidewalks at 37 properties. Work continued in Gerstle Park as four locations on E St were successfully completed. 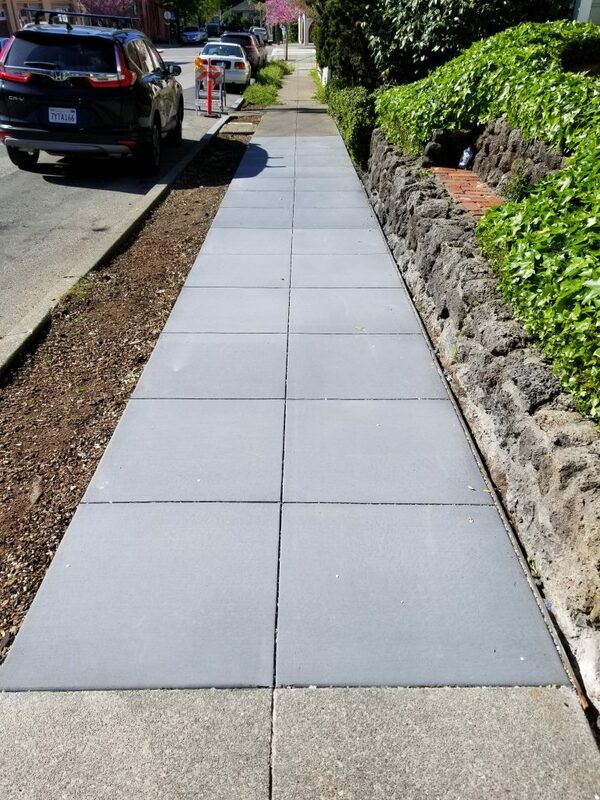 With the rains tapering and hopefully drier weather ahead, the goal will be to complete 1,000 square feet of new sidewalk a week. Interested in real-time updates on the progress? Follow the work here! Select “filters” in the upper left hand corner and then change the permit type to, “Sidewalk Repair Program”. 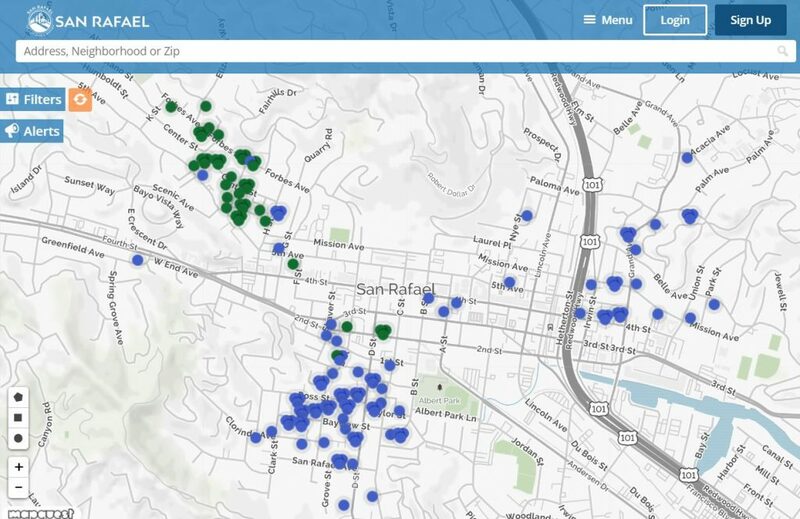 You’ll see green dots for finished projects and blue dots for projects yet to be complete. 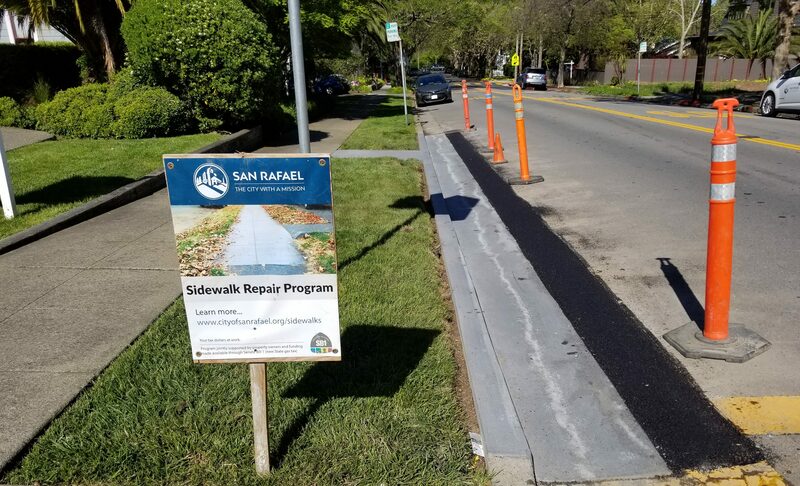 The 2019 Sidewalk Repair Program is now open for new applicants!